Is Buffett Enough To Buy GE Stock? General Electric (GE) was the worst performer in the Dow, with selling all fall, and being the worst again this quarer. It was a dud in the S&P 500 as well, even though the stock saw a late-March surge on hopes that Warren Buffett may buy a stake in the company. Yet while GE bulls are few and far between, there are still some, including Melius Research’s Scott Davis, and he’s encouraged by the speculation. Davis has a Buy rating on the shares, and believes that the rumors of Buffett’s involvement are true. He thinks Berkshire Hathaway (BRK.B) could take an equity stake in return for taking on most the excess liabilities from its residual insurance business, a stake that could be “in the low-to-mid-teens billion dollar range,” he estimates, based on the $16.5 billion of long-term-care contracts on GE’s books. He admits that the conglomerate’s asset sales are going slower than expected, with Cummins (CMI) seemingly uninterested in GE’s locomotives/rail division, which Davis sees as an attractive asset for a private-equity buyer. 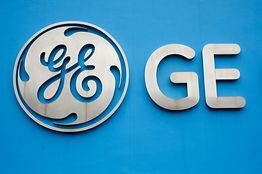 Davis had expected a deal to be announced already, and the delay (possibly due problems the analyst’s unaware of) means less liquidity and earnings for GE. But if the Buffett deal comes through, GE wouldn’t be as hard up for the cash. GE slipped 1.4% to close at $13.48 on Thursday.